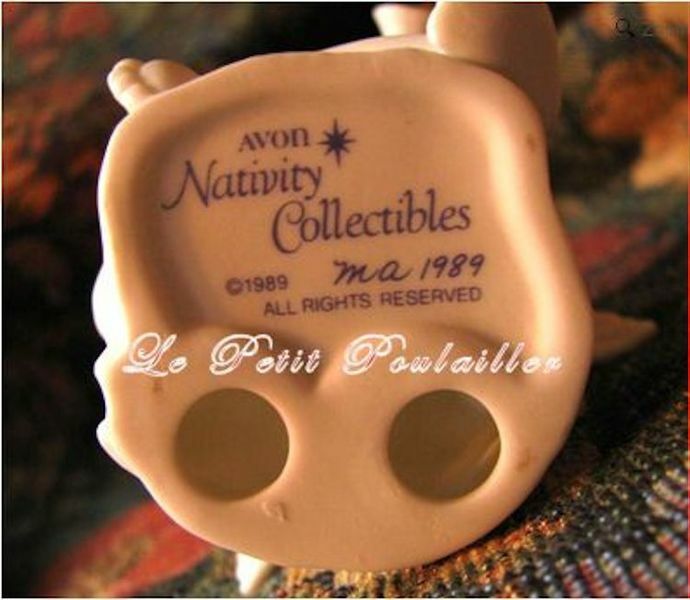 'The Trumpeting Angel' - a beautiful bisque-white porcelain figurine from Avon's Nativity Collectibles Series-this piece issued in 1989. The wonderfully detailed angelic cherub, complete with its original packaging and box, is a perfect piece for your holiday display and will be a lovely gift to complete someone's holiday collection. 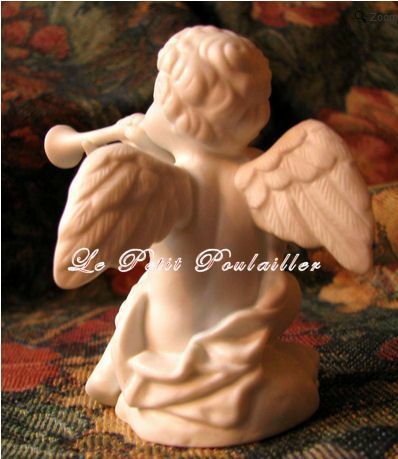 The lovely sweet cherubim is perfect for display at Christmas ... or anytime! 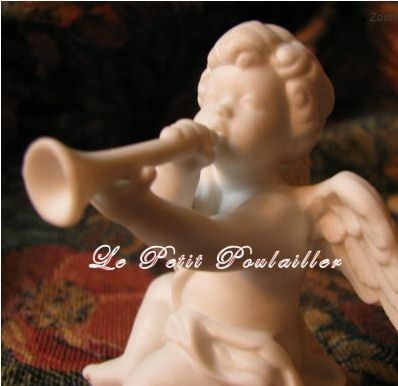 The Trumpeting Cherub measures approximately 3.375" (8.6 cm) high and is artist-signed "MA" (for 'Michael Whitaker Arike') and dated 1989 on the base. I use USPS 1st Class Parcel for shipping both Domestic and International. Shipping to all US shipping destinations shipped with USPS Delivery Confirmation and Lower US shipping destinations shipped with USPS insurance.